The saiga antelope, according to the records on the IUCN redlist is a critically endangered antelope. The saiga stands 24–32 in, at the shoulder, and weighs 57–152 lb. The head-and-body length is typically between 39 and 55 in. They have a very prominent feauture which obviously sets them apart, "the pair of closely spaced, bloated nostrils directed downward". They have dark markings on the cheeks and the nose, with a 2.8–4.7 in long ears. 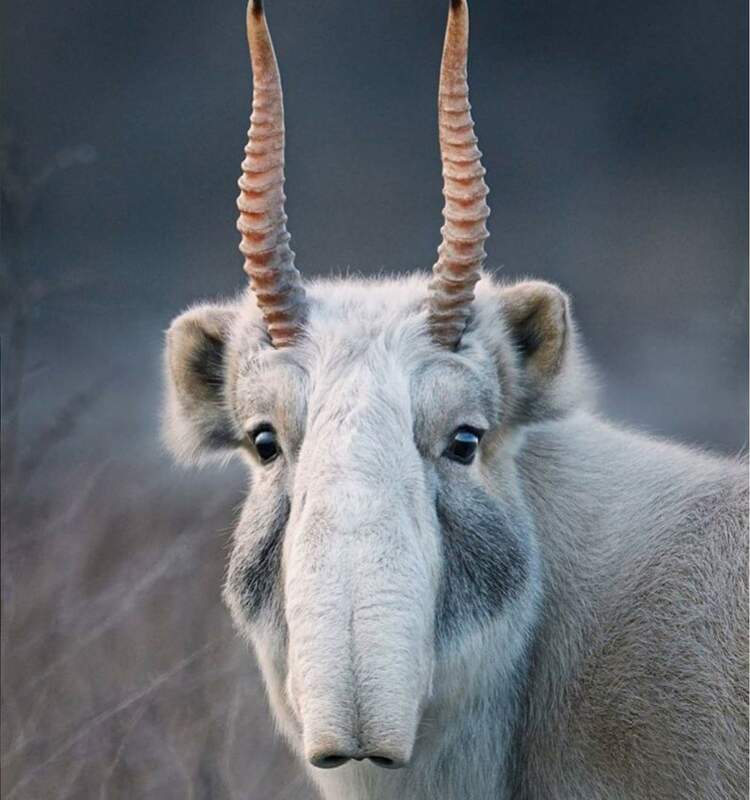 During summer migrations the saiga's nose helps filter out dust kicked up by the herd and cools the animal's blood. In the winter it heats up the frigid air before it is taken to the lungs. Only the male saigas possess horns. These horns that are thick and slightly translucent, are wax-coloured and show 12 to 20 pronounced rings. Saiga has been hunted since prehistoric ages, when hunting was an essential means to acquire food. Saiga's horns, meat and skin have commercial value and are exported from Saiga's horn, traditionally were of medicinal value to the chinese. Wildlife Without Borders -Russia and East Asia in 2011 awarded an $80,000 grant to the Saiga Conservation Alliance. This funding will support on-the-ground conservation action in Russia and Mongolia, enforcement efforts in China, and a dialogue between authorities in Mongolia and China to address illegal trade.